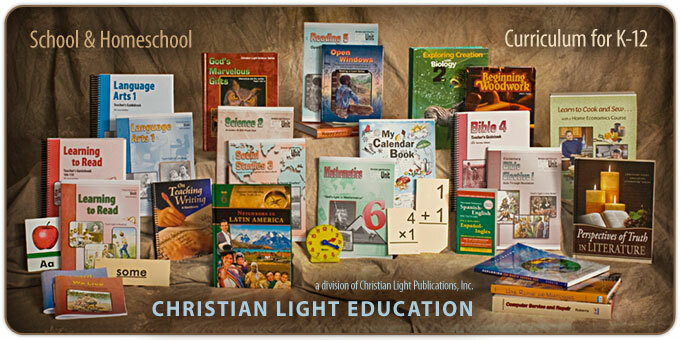 Christian Light Education is a complete curriculum from grades 1 through 12, including teacher material, support items, and an extensive line of high school electives. We produce academically and morally sound materials that adhere to Biblical fundamentals. Our Christian Light Sunrise editions are designed for a variety of learning situations—traditional classrooms, individualized classrooms, and homeschools. We have incorporated suggestions through field testing and educator reviews in order to offer you materials that are easy for any teacher to use, and exciting yet challenging for students. Is your goal for students to learn practical knowledge from a Biblical worldview? Do you wish them to be informed of the world around them and far away, and to develop a sympathetic understanding of other cultures and backgrounds? Do you want to foster a strong identity with Christian beliefs while imbibing the necessary requirements for a solid education? If so, you have found the right website to browse!